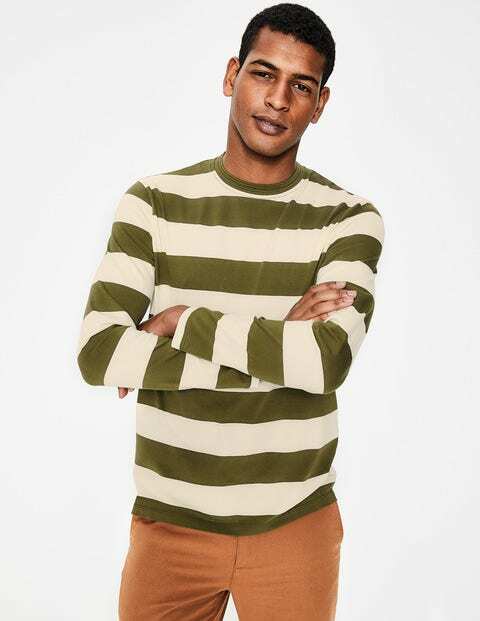 Complete your wardrobe with this long-sleeved striped T-shirt. Soft cotton jersey teams up with easy stripes and a versatile crew neck to make this an essential you'll reach for again and again. The textured rib on the neck adds subtle detail, while the classic colours work perfectly with weekday chinos or jeans for drinks at the pub.